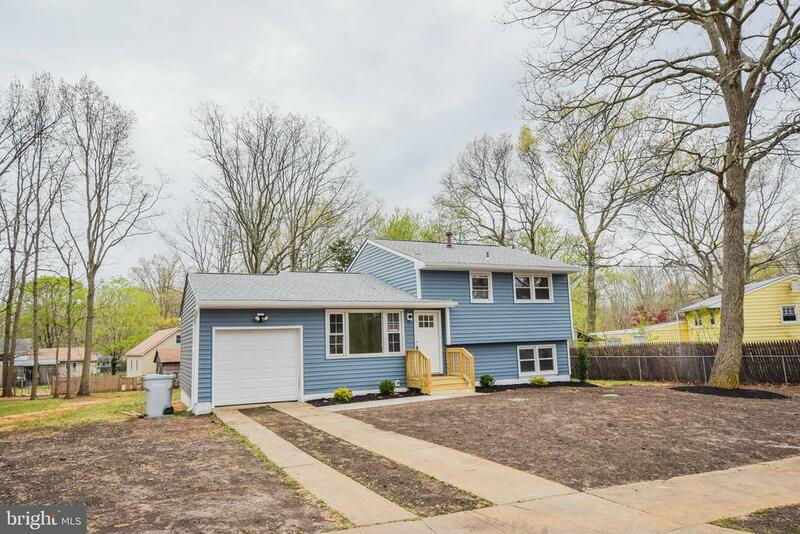 All Newfield homes currently listed for sale in Newfield as of 04/22/2019 are shown below. You can change the search criteria at any time by pressing the 'Change Search' button below. If you have any questions or you would like more information about any Newfield homes for sale or other Newfield real estate, please contact us and one of our knowledgeable Newfield REALTORS® would be pleased to assist you. "The property is an irregular shaped parcel of land approximately 68.47~ acres, with road frontages of roughly 1,959.78~ feet along Three Bridges Road, 2,087.47~ feet along Taylors Road and split frontages of 78.00 and 75.00 feet along Harding Highway (Route 40). Access to the property is along all road frontages. Topography of the site is at street grade with minimal slope areas. The property is heavily wooded and drainage appears to be suitable. According to the New Jersey DEP wetlands maps, the property appears to have very little wetlands, if any at all. The property is presently Farm Qualified under the Forest Management Program. Should purchaser change use of property, roll back taxes will be the responsibility of the purchaser. Zoning is within the LR, Low Density Residential Zoning District as depicted by the Upper Pittsgrove Township zoning map. Permitted uses include general purpose agriculture; Water, forest, wildlife conservation; Farm, Public education, civic and cultural uses; Parks, playgrounds, and similar open space or recreation, Single family detached dwelling, Cemeteries including a crematorium. Conditional Uses include Conversion of a dwelling, Essential services, day care centers, nursery, pre-school; Farming supplemental business, Planned residential cluster development, Kennels, animal shelters, commercial stables; Private educational institutions and libraries, Recreational clubs, lodges, places of worship and halls; Temporary use of a mobile home, Windmills, energy conservation devices and private communication. (confirm with Zoning Officer)." 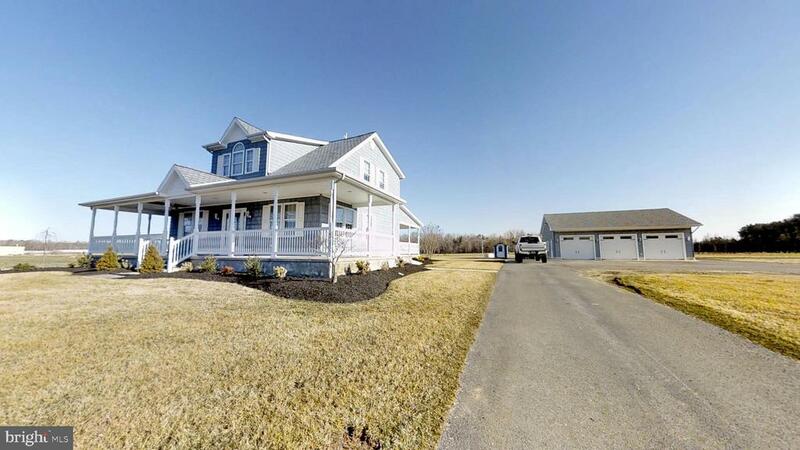 "Check out this amazing setup in Franklin township. This property has 3.4 acres of privacy in the country. This house features 3 beds and 2.5 baths with a 3-car custom detached garage, with amazing porches. This property has plenty of parking for all your needs. The home was a total renovation in 2008. The first floor has 9' ceilings with recessed lighting. The powder room is by the back door with access right into the laundry room. The kitchen is custom cabinets with custom granite to top it off. The dining area is connected to the kitchen and can handle those big family dinners. The living room is right off the dining area with plenty of room for seating. The upstairs has all 3 good size bedrooms. The hall bath is basically brand new and is right next the bedrooms. The master bed has a large closet for him and her. The master bath has a beautiful stand up tile shower, max jacuzzi tub, and beautiful vanity. 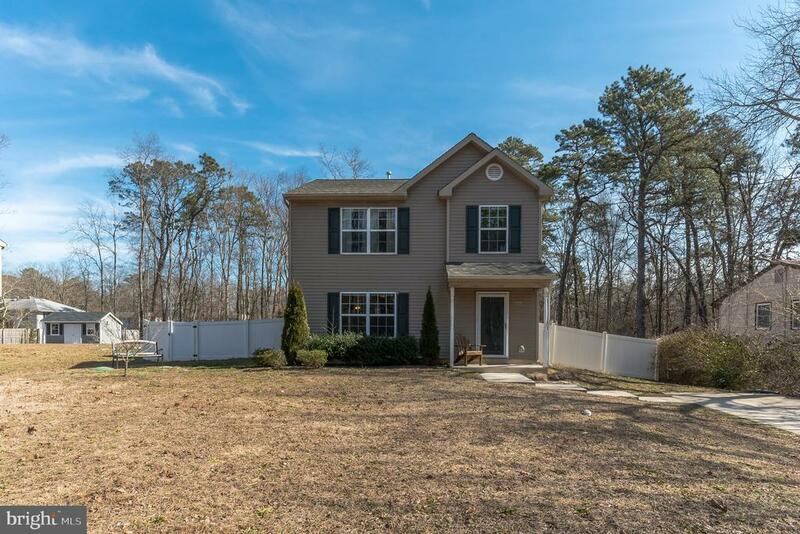 This home has many upgrades from the porches, to the full unfinished basement for storage, 3-car garage, new water heater, new well constant pressure system, lawn irrigation, beautiful landscaping, asphalt driveway, high ceilings, and so much more. This house was totally redone in 2008 and looks brand new! Come see this amazing setup! Seller is offering Co and septic cert! 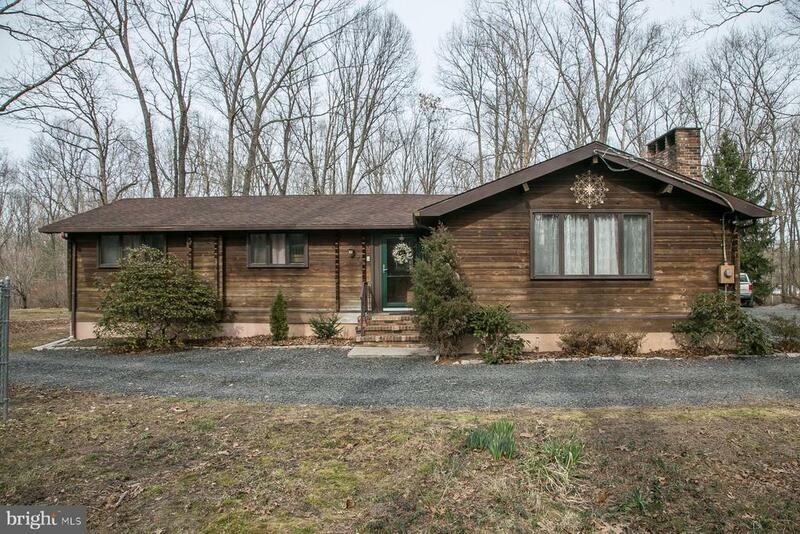 MLS # NJGL230954"
"Tucked away in the woods on approximately 3.5 acres is the charming 3 bedroom, 2 full bath cedar log cabin. There is a wood stove in the living room that heats the home nicely in the winter. Laundry is located on the main floor. Finished basement. Included is a 40 x 60 barn." 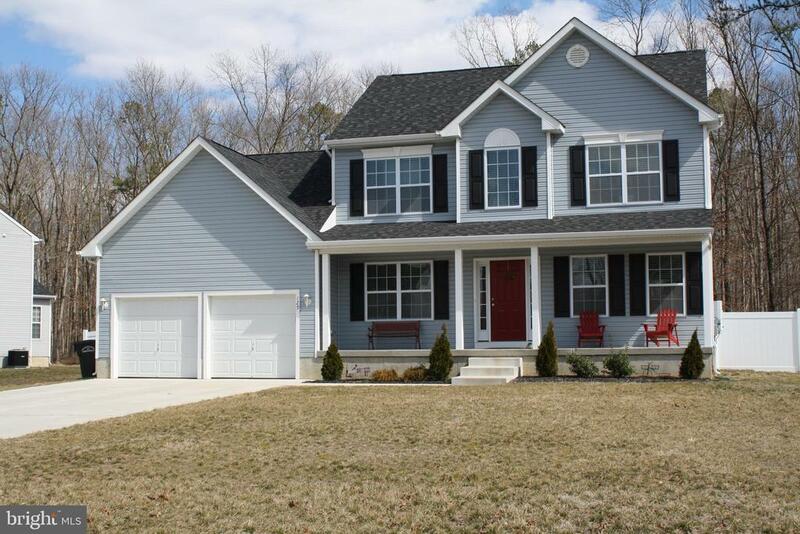 "Welcome home to this beautiful 2-year old Linwood model in Nottingham Run. 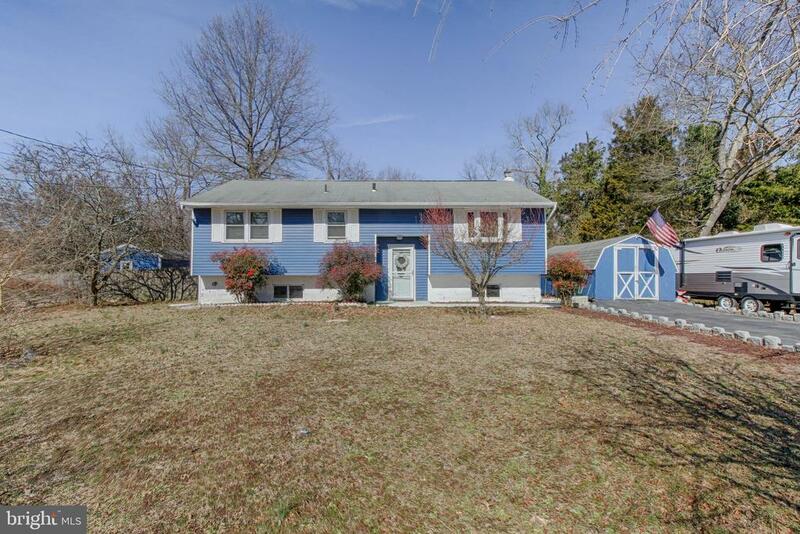 Large porch adorns the front of this home that sits on fully fenced in half acre lot. Once inside, two French doors led you into a study/office on your left and a huge great room on your right which can be used as a family room/living room/dining room, whichever suits you and your family~s needs. Walk straight down the hallway into the kitchen which is open to the great room. In the kitchen, you will find upgraded 36~ Aristokraft cabinets in Glacier Grey with Black center island cabinets and absolute black granite countertops, gorgeous lighting over the island and above the kitchen table. Not just one but two pantries in the kitchen. Behind the kitchen walk down the expanded 5 ft hallway passed a half bath and your laundry room into the added den/office/playroom, again, a room to be used for whatever suits your family~s needs. The upper level features large bedrooms and a very large master suit with a his and hers closet and a soaking tub in the bathroom. Upgraded interior doors, carpet and padding throughout the home. Then walk outside yard into the fully fenced in yard with 6 ft vinyl fencing along the sides and black aluminum fencing along the back. A huge 15 x 27 concrete patio in the backyard waiting for all your outside furniture and grill. This one is a must see! Come check it out." "Investor Alert This 2800 Sq Ft, 2 story colonial is ready to be refurbished. This one is definitely a diamond in the rough. Situated on over 13 acres with an in-ground pool just of the back covered patio, another screened porch on the side of the house and a huge open backyard. Bring your tools and imagination!" "Incredible ranch-style home in one of Newfield's prime residential neighborhoods. 4th bedroom has a separate side entrance off the side deck, if desired, for a private home office or in-law suite with private bathroom (presently being used as a hobby room). Remodeled exquisite country kitchen quite perfect for the baker or serious cook! Front porch adds to the charm to its lovely design. All appliances remain. Upgrades include: windows, doors, 3D roofing, gutters with covers and downspouts, central air, walk-in tub, wood flooring and more!" "You must see this beautiful raised ranch home. The main floor features a large living room, a spacious eat-in kitchen with a door to the back deck, three bedrooms and a full bath. The downstairs is sure to impress with an enormous family room with a stone wall gas fireplace, laundry room with 2 closets & cabinets for all your laundry products, the fourth bedroom and another full bath. The walk out to the tree shaded yard is perfect for all your Summer entertaining. The detached 2 car garage makes a great man cave with skylights and a wood stove to keep you warm while working on your projects in the Winter. The roof is only 4 years new. Don't delay, schedule an appointment today." 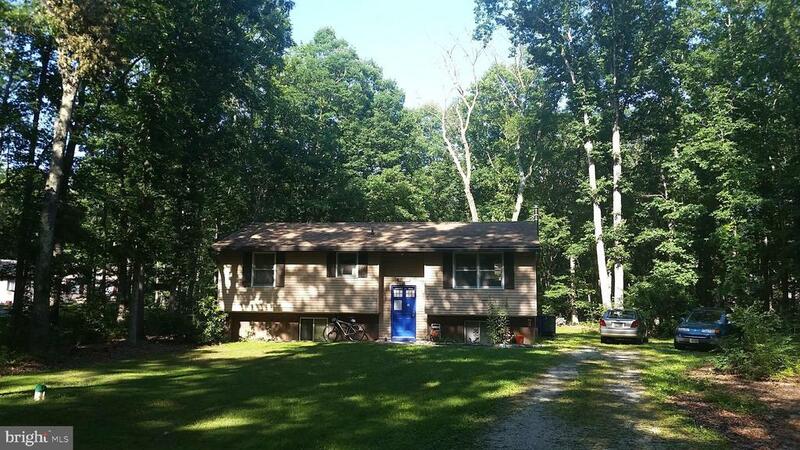 "Welcome to this well secluded 3 bedroom 2 bathroom home in the woods. Features include; Gas Heat, Central Air and an open floor plan. The Master Bedroom features it's own master bathroom with a jacuzzi tub beautiful tile flooring." 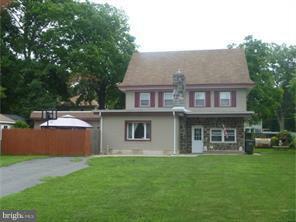 "Wonderful Split level in Newfield and at such an attractive Price. Possibilities are endless. Come See before it's Gone!" 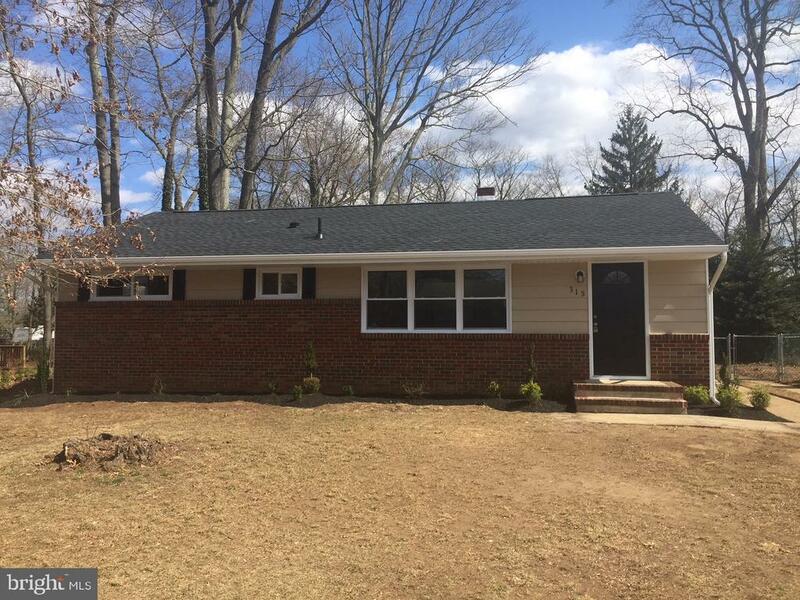 "Newly renovated 3 beds 2 baths in the heart of Newfield. Pack your things and move right in! This beautiful home boasts new flooring throughout, completely remodeled kitchen with granite countertops, glass tile backsplash, and a 4 pc stainless package. Breakfast nook which opens up to your outdoor space. The first floor also features a dining room with a living room, powder room, and or office/den. Continue up the stairs to the second floor where you will find a full bathroom, 3 newly carpeted bedrooms with great closet space and 2nd-floor laundry room. Additional upgrades include a brand new heater, hot water heater and central a/c. So book an appointment today!!!!" 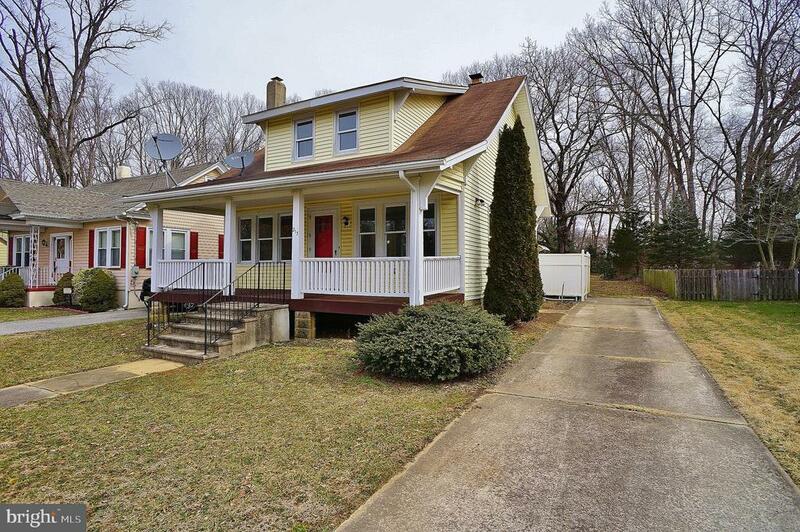 "This renovated Five bedroom home is ready for its new owners! 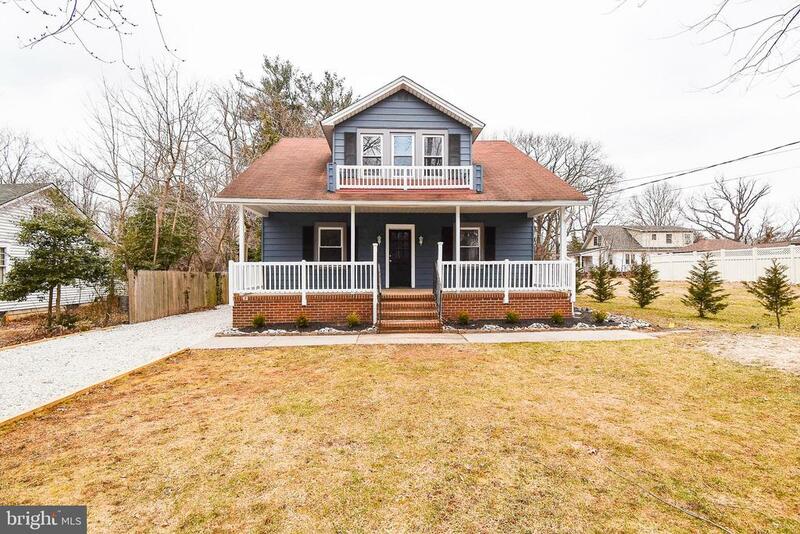 First floor of this home has a Living room, Large eat in kitchen, bedroom, full bath and a family room with a slider leading to a deck and back yard. Second floor features Four bedrooms and another full bath. Home has a brand new kitchen with Granite counter tops and Stainless steel appliances, all new flooring and carpeting throughout, renovated baths with Custom tile. 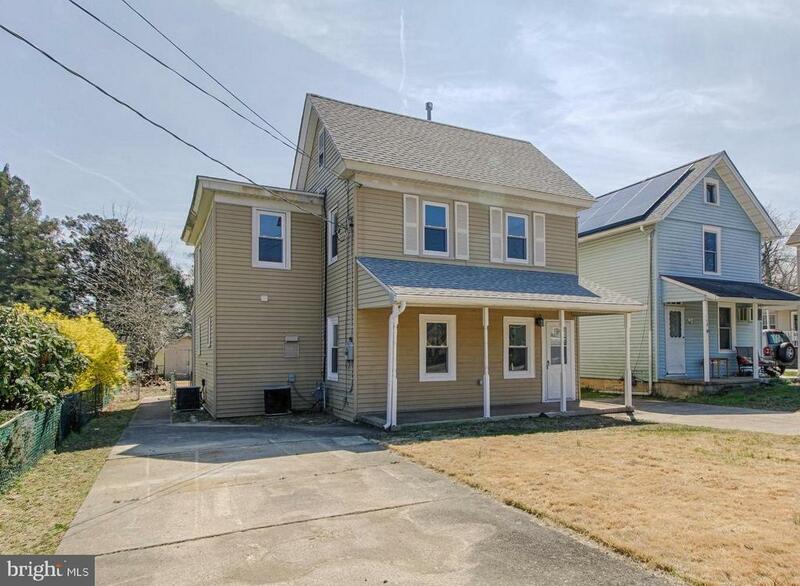 Two zone Heat and AC are a great feature, along with a full basement, front porch and a fenced yard. See this home today!" 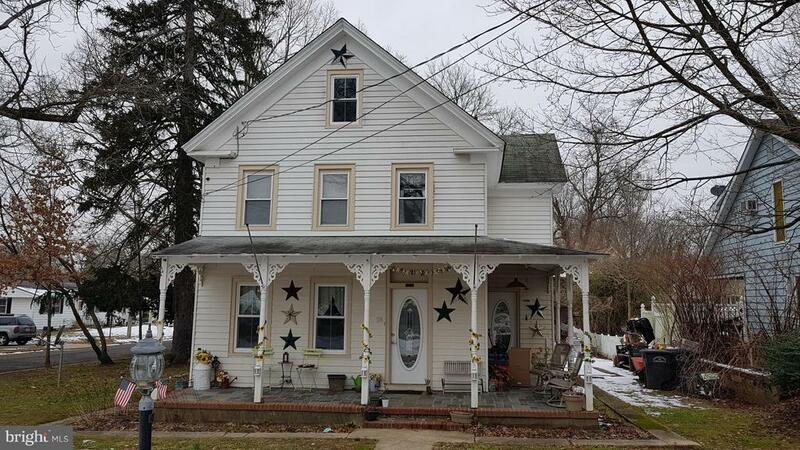 "Well maintained two story home on quiet dead end street in north Vineland. Home is 6 years old. Eat-in kitchen with oak cabinetry and stainless steel appliances. Spacious living room with ceiling fan. Master bedroom has a walk-in closet. Large rear deck and 6' vinyl fenced yard. Second floor laundry, security system, natural gas heat and hot water, concrete driveway, shed. Convenient access to Routes 47 and 55. Four years remaining on structural homeowners warranty." 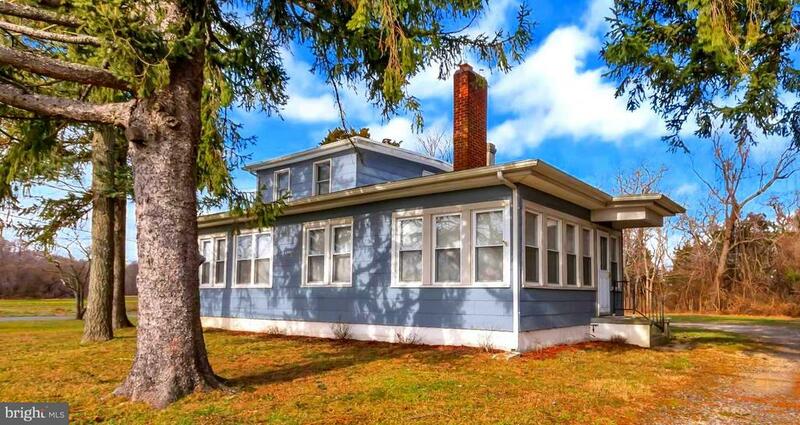 "This charming farmhouse w/ wrap-around covered porch on 3.7 acres is not to be missed! Spectacular eat-in sized kitchen w/ stainless dbl sink, stainless appliances, breakfast bar & outside view thru glass paneled French doors. Large/bright family room w/ spiral stairs to upper level where master & large 2nd bedrooms share Jack-n-Jill stall shower bath. Master suite has whirlpool tub & walk-in closet. 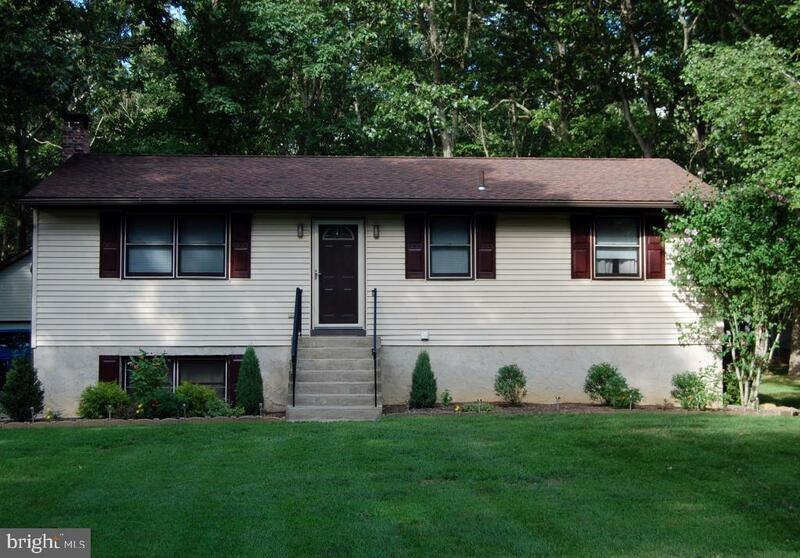 With shower/tub bath, 3rd bedroom, & laundry on main level, home is suitable for family w/ aging parent. Low maintenance vinyl siding. Skylights, ceiling fans, 2 stairways to upper level, above ground pool, oversized 2 car detached garage w/ driveway parking for 4+ vehicles, easy access to Route 55 ~~~ it just goes on & on. Short Sale being sold as is w/ buyer responsible for all inspections and certifications needed." 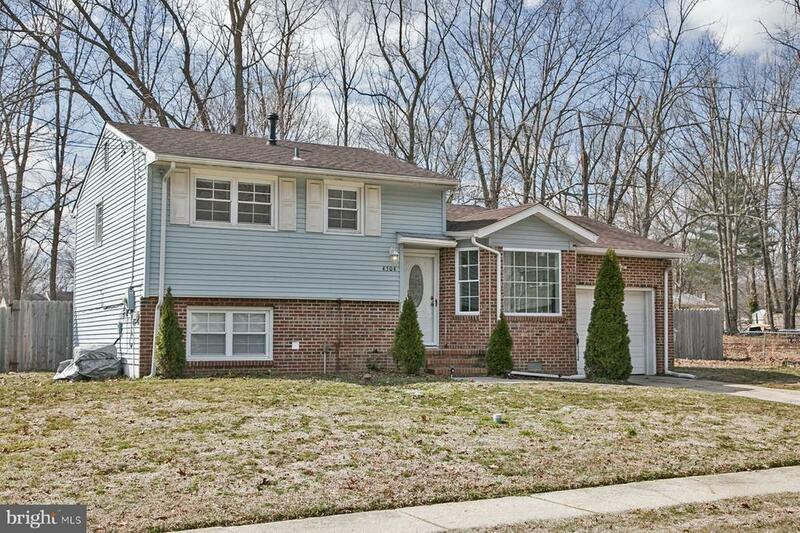 "Come and see this beautifully remodeled split level home. This house is located on a quiet dead end street. There is a large backyard, new roof, new siding, new hvac, new electric and new flooring throughout. The kitchen has been upgraded with granite countertops and stainless steel appliances. The bathroom has all been redone with a tiled shower." 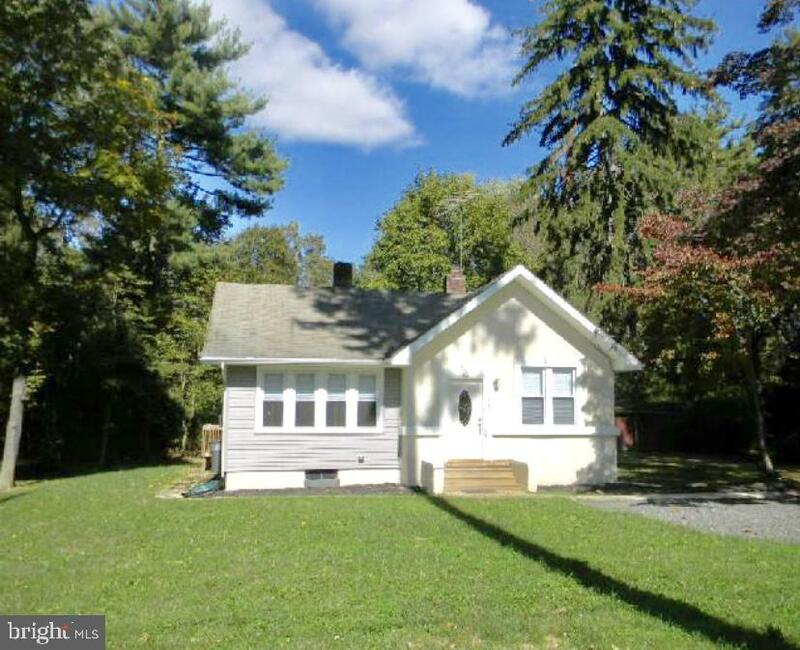 "This charming rancher has been completely renovated and just waiting for it~s new owner! This turn-key home boasts beautiful refinished hardwood floors, remodeled bathroom and kitchen with new stainless steel appliances. You will also enjoy the spacious fenced in backyard with attached deck which is right off the kitchen, perfect for entertaining and backyard bbqs!! There is a full high basement with plenty of room to finish into your own personal space. Upgrades to include new roof, windows, paint, HVAC, plumbing, electric and new electric service and panel. Last, but certainly not least, septic has already been inspected and tested. PASSING septic certification on file from Gloucester County Health Department. Truly a must see to appreciate all the craftsmanship this home has to offer!!" "Make this your Home in the Country !! Sitting on over a half acre of land . In Franklin twp. with Great schools!!! With a very large back yard enclosed with wood fencing over looking Wooded acres. Summertime will bring your Own outdoor Oasis complete, with Above ground Pool, (new filter).. Large Deck for all your outdoor barbecues ! Hot Tub with its own area & cover.Enjoy your Hot Tub in winter also. When first entering the home you will notice the Hardwood stairs & flooring in Living room & Hallway. Eat in Kitchen with all Stainless Steel Appliances. Three bedrooms with newer laminate flooring. Some newer windows. Bath with fiberglass surround & newer vinyl flooring complete this level. Wood 4 panel doors throughout . Lower level consist of approx. the same sq, ft as the upper level 996 sq.ft. Very Large lower level with Family room, Laundry area & Utility room. Easy to show ! !Home also in USDA Eligible area . Low or no down payment !!" "Wonderfully rehabbed home with a very open floorplan. Wood-burning stove in the spacious livingroom. The kitchen features a breakfast bar, granite countertops, stainless appliances and a tile backsplash. New electric service, new high efficiency hot water heater, high efficiency heater. Make your appointment before it's gone!" "Great Starter Home! Bring your first time buyers." "Beautiful, well maintained home with lots of upgrades! The lower level of the home is currently being used as a fourth bedroom. There is a nicely sized laundry room on the lower level. Roof was replaced 2 years ago. Close to major highways and shopping." 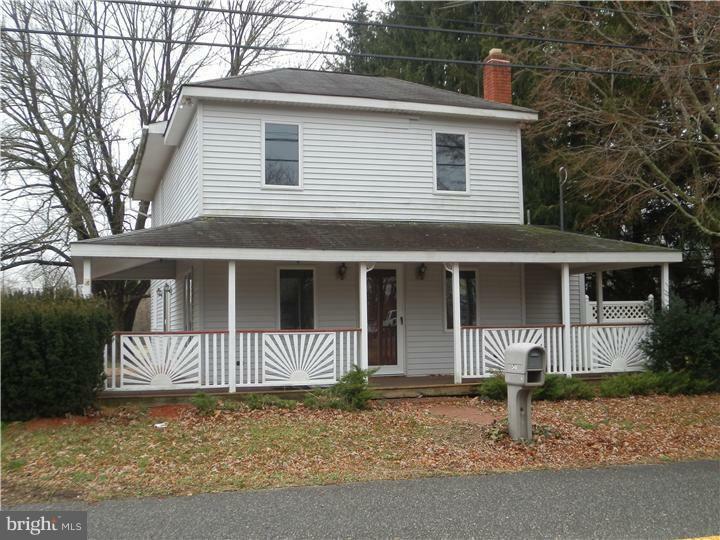 "Cozy 3 bedroom home located in the charming town of Newfield. There are many upgrades in this house including the kitchen, bathroom, and electric. Enjoy the wood burning fireplace this home is set up for an additional bathroom in the back room. Should you want to add one on. Large front and back yard. This is a USDA area! That means 100% financing for you as the buyer! Don't let this house pass you by !! Schedule your showing today!!" "This quaint farmhouse style home is surrounded by farmland and offers distinctive characteristics at every corner. The most prominent feature in this home is the open concept living room that is bathed in natural sunlight with a row of windows. Solid hardwood floors, wood burning stove with brick surround, and an exposed beam give this room a rustic feel. Envision the sitting area arranged around the cozy wood stove with a plush area rug- add a TV and throw blankets and you'll never want to leave! Toward the stairs, why not place the dining room furniture where there is plenty of space to fit the largest family gathering or keep it simple and intimate. In the kitchen the slate floors and wood burning brick fireplace (yes, a fireplace in the kitchen!) offers a pleasant atmosphere for making meals. There is a breakfast nook in the kitchen to accommodate a smaller table for informal eating. Off the kitchen is the laundry room, half bath, and bedroom with new carpet. Completing the first floor is a fully enclosed heated sun porch with new carpets that is appropriate for all seasons! Upstairs are two bedrooms and a full bath with new floor, tub surround, and vanity. Some additional updates include newer well and water treatment system, newer gas furnace, all new window blinds, fresh paint. 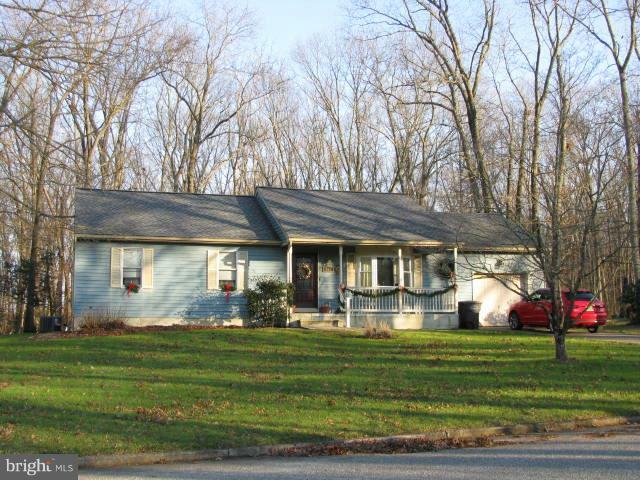 Situated on 1.23 acres in Franklin Township on a corner lot. Also zoned commercial, which adds to the possibilities!" 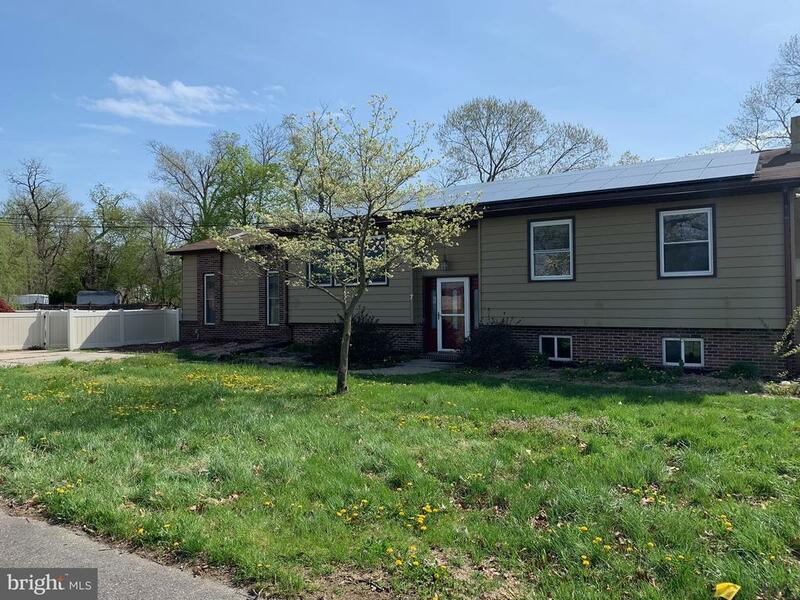 "You can have your little piece of the country with this great bi-level home located on a wooded lot on a quiet street in Franklin Township. As you enter through the front door, or as the seller knows it as the Tardis, you will see that it's bigger on the inside as Dr. Who would exclaim. 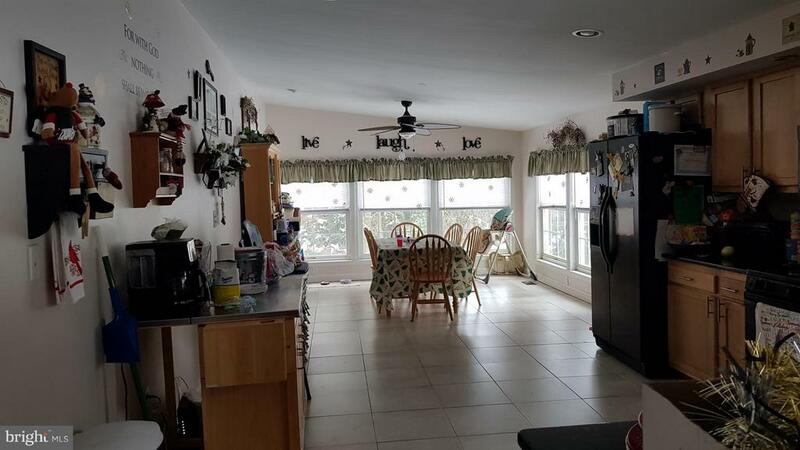 This home is a comfortable approximate 1,966 +/- square feet with three bedrooms, one bathroom, kitchen, dining area, living room, family room, bonus room and laundry area in the basement. The newer kitchen will impress you with the stainless appliances and deck just out back so you can enjoy the fresh air. The family room features a wood stove enhanced by a lighted mural painting of the jungle which is painted on the wall just behind the wood stove. All rooms are a good size and waiting for you to add your personal touches to it. The house is solid but needs a little TLC and is priced accordingly. Being offered As Is and the buyer needs to obtain any and all certifications required by the municipality and/or the lender." "Zoned Commercial. Super oversized garage included. Just under 1/2 acre of land! Decent, older 2 story home! 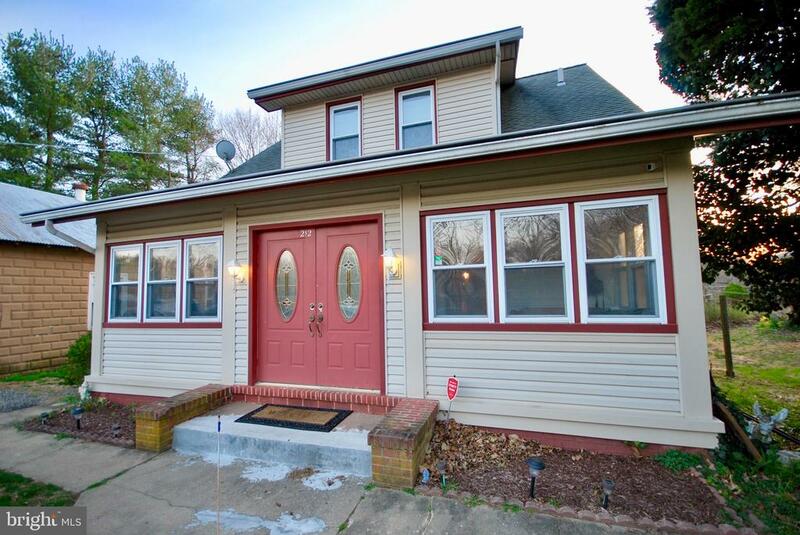 3 BR 2 FULL BTH, full basement! Commercial garage located on property, complete with Hydraulic lift and industrial air compressor, garage comes complete with office, half bath. SFR dwelling has 3 bedrooms with walk in closets. 2 living rooms with partition. Large eat in kitchen with wood burning stove and Entrance to a beautiful 10x12 Florida room looking out to the deck and above ground pool. features also include full basement and attic. *AS IS* purchaser responsible for Inspections and repairs."